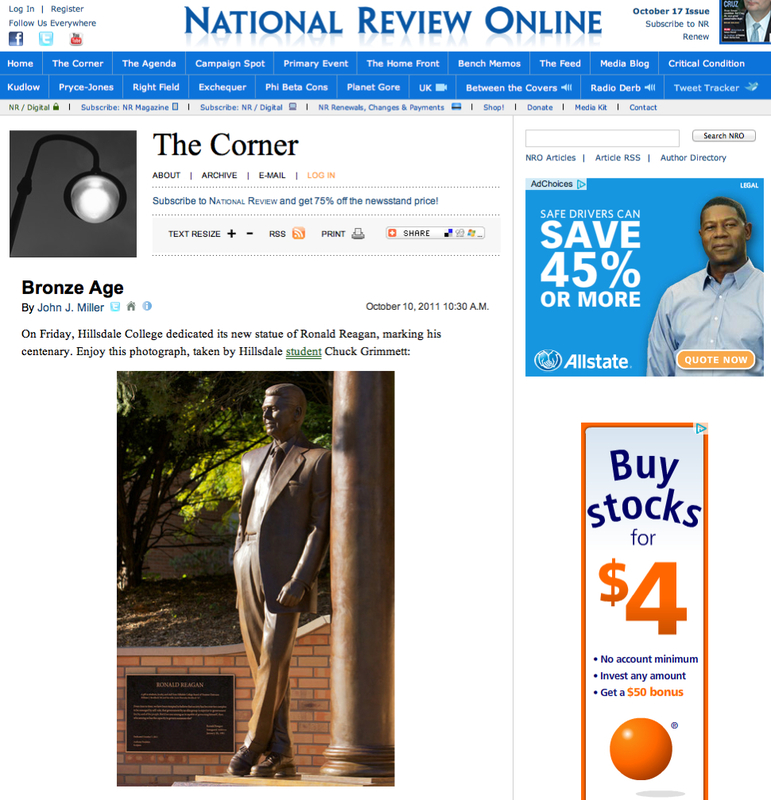 One of my photos was on National Review Online today! The photo was of the recently dedicated statue of Former President Reagan that was dedicated here at Hillsdale College last week. 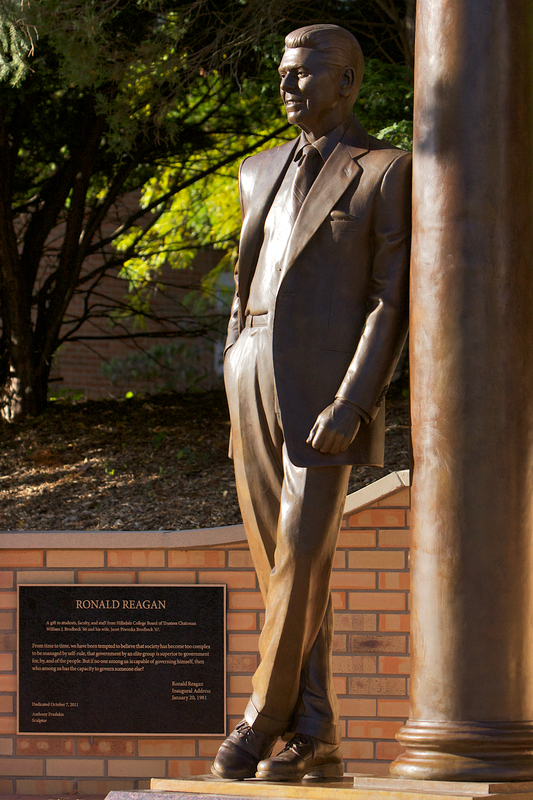 The Reagan statue is Hillsdale’s most recent addition to the Liberty Walk.